These 3 x 5 Zipper Locking Biohazard Bags with a post-applied zipper are pre-printed in black and red ink with universal symbol "Biohazard" to label potential medical hazardous contents and provide a great zip locking seal against contamination or compromising the bag contents. 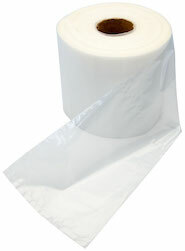 Used in hospitals and labs, these 3 x 5 .002 mil special printed biohazard zip locking bags protect contents and health care works both. These small 3in. x 5in. biozardous waste bags are clear and do not have the separate document pouch in the back nor do they have a "Tear-off Top" feature like some of our other bags. We certify that these bags do not have cadmium, hexavalent chromium, lead and mercury are not intentionally introduced into our 3" x 5" 2-mil zip locking bags formulation; and that the cumulative sum concentration of cadmium, haxavalent chromium, lead and mercury does not exceed 100 parts per million (ppm). 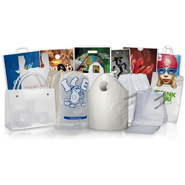 We certify that our 3" x 5" zip locking bags comply with the following elemental content restrictions: Antimony (Sb) not to exceed 60 ppm, maximum; Arsenic (As) 25 ppm, maximum; Barium (Ba) 500 ppm, maximum; Cadmium (Cd) 75 ppm, maximum; Chromium (Cr) 60 ppm, maximum; Lead (Pb) 90 ppm, maximum; Mercury (Hg) 60 ppm, maximum; Selenium (Se) 500 ppm, maximum.